“All I want for Christmas Is my two front teeth, my two front teeth, see my two front teeth…” This catchy tune was written in 1944 by Donald Gardner, an elementary school teacher. 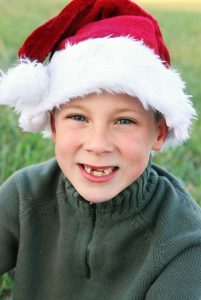 When asking his second graders what they wanted for Christmas, he looked around and saw that almost every child was missing at least one front tooth, hence the popular tune we all know so well. It’s one thing being a kid and awaiting the emergence of your grown-up teeth, yet quite a different story having lost your permanent teeth due to poor oral health. Healthy teeth and gums are the result of good dental health. And during the holidays you should do your best to maintain good oral care in spite of the tempting, delectable, sugary filled treats being offered every where you turn. It’s better to allow hard candy to dissolve in your mouth. Biting down may cause damage. And remember to brush your teeth after eating candy or sweets of any kinds. Minimize your sugary intake and choose fruit instead. Fruits have beneficial plant compounds that have vitamins, minerals, and fiber for overall good health and wellness. Pass right over the cookies and brownies, and fill your plate with healthy veggies like carrots, celery, and broccoli. These great treats aren’t only delicious and loaded with Vitamin A, they also strengthen your enamel! Three Rivers Dental wishes you a safe and healthy holiday. We look forward to seeing you in the coming new year!